My students love learning through play! 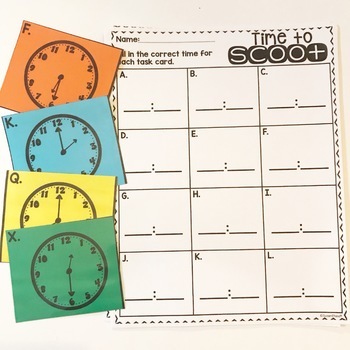 Scoot activities are the perfect way to engage your learners and give them opportunity for movement! 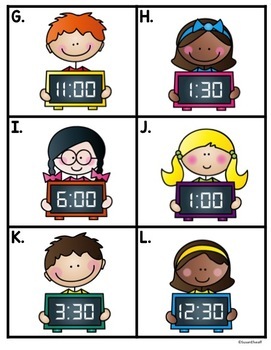 Engage your students with this Time Themed Scoot activity! 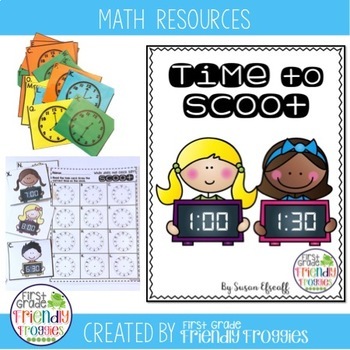 This resource offers 2 Scoot Activities for your learners. Each game contains time themed task cards, recording sheet options and answer sheets. 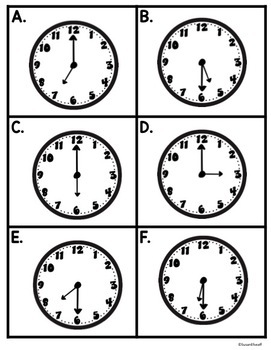 This resource will have your students practicing time to the hour and half hour with both analog and digital clocks! 24 task cards are included along with recording sheets and answer sheets. 24 task cards are included along with blank clock mats! This product is extremely low prep and engaging for your students! Simply print the task cards (laminate if you choose), display around the room or at a math center, and copy recording sheets! ⭐ Football Themed - Addition and Subtraction Scoot!